Tanzania has a rich tradition of wood carving, particularly the Makonde style and every type of wood is available. Generally, artists work in poorly equipped co-operatives, with the sector having little support. While artistic skill and potential is considerable, there is little to available to facilitate the development of the artists to bring the finished articles to the highest standards. To establish a sustainable community of sculptors and carvers, in a facility that enhances and develops their creative gifts, drawing on African, Arabic and European artistic traditions; providing a centre for dialogue and the sharing of experience between artists; highlighting and promoting the contribution that the culture of Tanzania can make to the development of the country. Establish champions and partnerships with UK organisations that are willing to share their technical skills with their Tanzanian counterparts. Identify distributors of high value carved items in the USA and Europe. Find enterprises who would find the sponsorship package attractive. Identify partners willing to promote the guest house aspect of the project. Site In the short term we are looking at the possibility of renovating the Jamatkhan as an Art centre.The centre would have a restaurant, coffee bar ,a studio and workshops for artists and a seminar room. A gallery of a wide range of art would be on public view.The site is in easy reach of the beach. 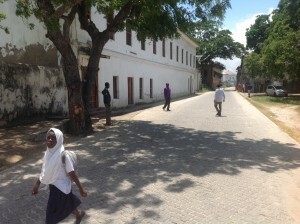 Bagamoya was founded at the end of the 18th century. It was the original capital of German East Africa and was one of the most important trading ports along the East African coast. Today the town has about 30,000 inhabitants and is the capital of the District of Bagamoyo. This site has been chosen as it is a world heritage site and is being developed as part of the drive to increase tourism. A harbour is being built. A national Park is close by and the town is forty five minutes drive from Dar as Salaam. This all makes it a perfect location. During the first year, a community of sculptors and carvers will be established and equipped with good quality tools. The first half dozen craftsmen and artists will be chosen for their existing and potential talent. They will live outside. We will focus on improving the working practises of the artists. This is to ensure that they are able to produce their work to the highest quality finish. These will be the first items to market. 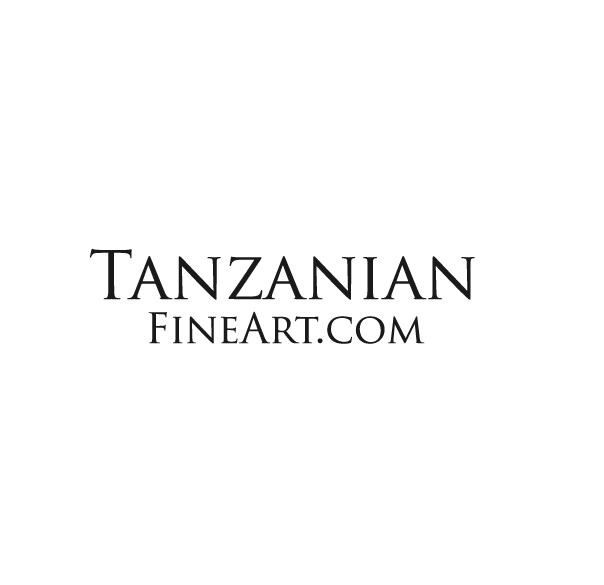 The long term aim of the project is to create a studio where the artists will be able to produce unique pieces of art drawing on the rich mix of Tanzanian cultural heritage and European artistic tradition. The inspiration for some items comes from Boulle and the “ebonists” work for the French Court. Boulle and his contemporise created items of furniture that in themselves where works of art, with a completely distinctive artistic style. This will be the engine of the project, it will be designed so it can be fully expanded if need be. It will show case Tanzanian art, particularly what is produced by the artists in the centre. In addition there will be accommodation for seminars, workshops and a conference facility. The objective will be that in the long term it should service the sector in the East African Community. A rolling programme of activities designed to strengthen and promote Tanzanian arts will be established through sharing of experience and techniques with national and international counterparts. The aim throughout will be to develop artists and promote the sector. Guests will be able to see the art being produced and in return will help generate income for the running of the centre. Apprentices will be strongly mentored to ensure replication and diffusion of best practise. This will be central to the project. We will arrange an annual exhibition where the artists to showcase their work. Funding will be a mixture of sponsorship and donor funding with the aim of engaging individuals, organisations and businesses. Once the establishment phase has been achieved the project operates all its services as a business earning enough from its activates to be self sustaining; only seeking sponsorship for specific development programs. Key sponsors will have the opportunity to visit and stay at the able the Centre.